=RANDBETWEEN(1,9) and he hovered his finger over the Enter key and cackled with laughter at our overwrought faces as we waited for the axe to fall on a study group. That’s how a session in Consumer Behaviour starts with him ‘observing’ student behaviour and wishing for a DSLR. The blessed randomly chosen study group would get to present their case analysis in five minutes to after which the group will be bombarded by questions (mostly by the professor). Then the Professor will take center stage and discuss that day’s readings, which usually involved him giving a cue about what he wants to discuss and us giving a relevant answer in first six words or less otherwise he will hop on to his next target, and your chance of CP is lost. No explaining a concept with an example unless specifically asked. Faux CP is now passé. And, he would keep pushing the students until he got it just right and he would expect nothing less from his students. Here, was one professor who not only taught efficiently but made sure that his pupils learnt equally efficiently. After going through the concepts with us in detail, he proceeds with a ten to a fifteen-minute video where we have to “observe carefully” and then the class breaks for a fifteen-minute salvation. Post-break, we are asked to sit in groups and discuss how the environment influences the behaviour of the actors in the video. But since “some new fresh faces have decided to grace us with their presence,” he asks for a summary. The first six words rule is applicable in this case too. Most people make mistakes in their effort to abide by the rule. 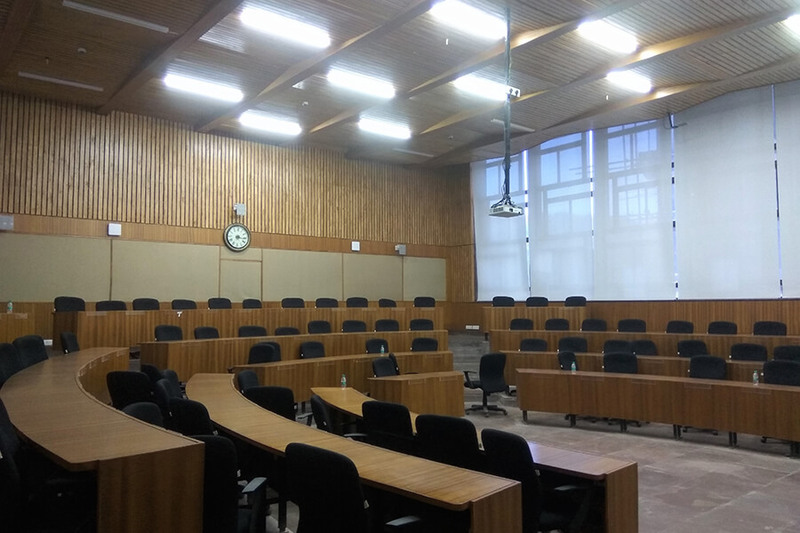 After the summary is done and dusted, everyone works in groups to discuss, and after the stipulated time, the professor will apprise about the details that were to be covered and the floor would then be open for discussion and questions. The class will end with a detailed class analysis with the Professor remarking upon the highs and lows of the student presentations. He loves to talk and so often shoots overtime but makes sure that we are reminded of the care and concern he exudes for his beloved “kidlis” and “kidloos.” As a result, of his tireless efforts and the students’ relentless interest in the discussions made the long duration of three hours seem like a quickly passing moment full of a unique learning experience. I would like to work in ABFRL vertical as it would involve interacting with different people on the shop floor and enhance my networking skills. The interaction would help me be more confident and also help in understand human psychology and the influences at play when they are in the midst of shopping. I would be connected to customers which would help me know trends and people choices. Additionally, the retail environment is so fast paced that it would make you take snap yet effective decisions, sometimes letting me think out of the box. And as I get more and more professional experience, my ability to think out of the box to make effective decisions will increase.